New Delhi (Sputnik) — With the multi-billion dollar Walmart-Flipkart deal having been announced, Indian entities see a threat to local interests unless data localization laws ensure key customer information is not shared. Taking part in the ongoing Asia Media Summit in New Delhi, organized by the Ministry of Information and Broadcasting of India, Vineet Jain, head of the Times Media Group, expressed concern that with the acquisition of Flipkart by Walmart, most of India's e-commerce businesses are either entirely or heavily owned by American or Chinese companies. "Foreign companies and agencies will control valuable and extensive data about India and the lion's share of value creation from these enterprises will go to other countries, supporting their job markets and global competitiveness. Digital data must stay in India and be governed by Indian law," the Times Group Managing Director Vineet Jain told the elite group of media heads and policymakers assembled in Delhi from across Asia for the three-day summit that began on Thursday. Jain called upon policymakers to take note of the "new and serious challenges [of data loss to the foreign entities] so that plurality of voices" and "healthy competition" can be ensured. A highly placed government official agreed to the concerns raised by Jain while talking to Sputnik. "It is true that there is no law in India to protect indigenous data. Data localization has not been a priority yet. We are still to wake up to the issue," he told Sputnik on condition of anonymity. The concerns have been raised at a time when the Indian government is weighing plans to make it mandatory for Google, Facebook, Microsoft and other tech giants to store the information they have on Indian users locally. 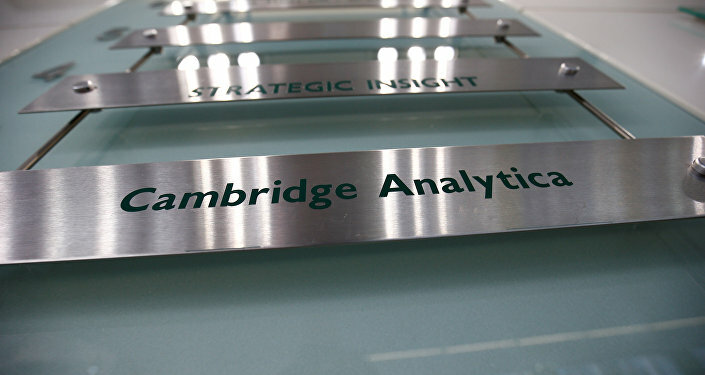 The move was first reported last month after the breaking of the Cambridge Analytica scandal, in which the data mining firm was alleged to have used Facebook data to influence Indian elections. The Reserve Bank of India has already told payment system operators to ensure data localization in six months. A committee headed by Justice B.N. Srikrishna is drafting a set of data protection laws aimed at ensuring the localization of data.